Valentine’s Day 2019 – Win Prizes! Miindia contest! 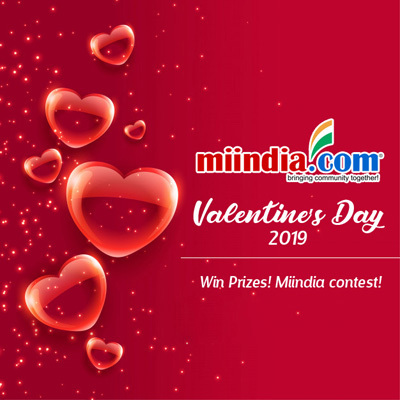 As Michigan Indian community members are preparing to celebrate Valentine’s Day on Thursday February 14th, miindia.com is pleased to announce a contest to win exciting prizes that include gift cards, dinners, movie tickets and more. Your entries must be received by us on or before 6 pm (EST) February 13th 2019. You must be a Michigan resident. Winners will be selected randomly among the interesting entries. Miindia.com’s decision is final.